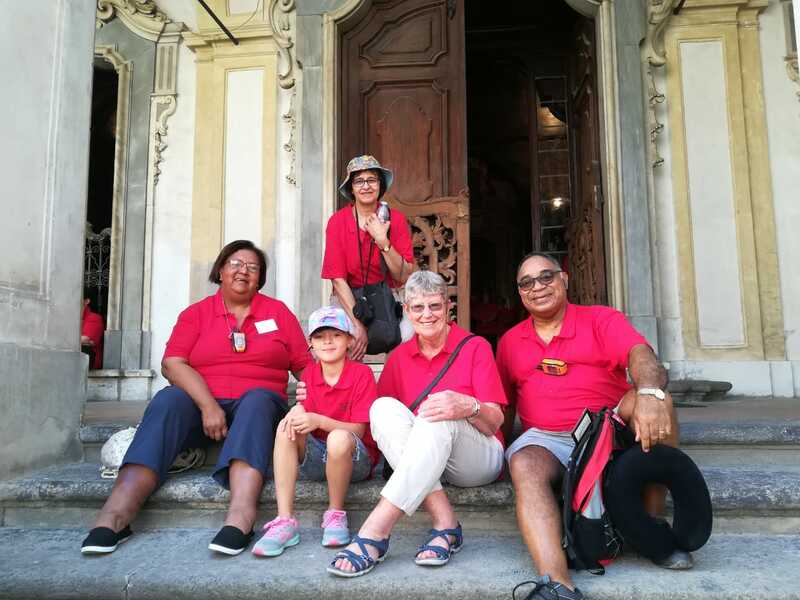 “(South Africa) From the 13th to the 20th September a group of 30 people from Redemptorist parishes came on pilgrimage to the Redemptorist centres in southern Italy. The group included Fr Gerard McCabe, parish priest of Holy Redeemer parish, Begvliet, Cape Town, Br Gavin from the Bergvliet community and myself, Fr Sean Wales, Provincial. We drove directly from Rome airport to Marianella where Fr Lello gave us a very warm welcome. In addition to the historical significance of Marianella, we were hugely impressed by the work of the confreres for the street-children and poor of the district. The next day we saw a bit of Naples (including the Cathedral) and then spent the afternoon in Pagani. Br Matteo saw to all our needs and arranged for us to visit the museum. Everyone was moved by the excellent tour we had of the house. 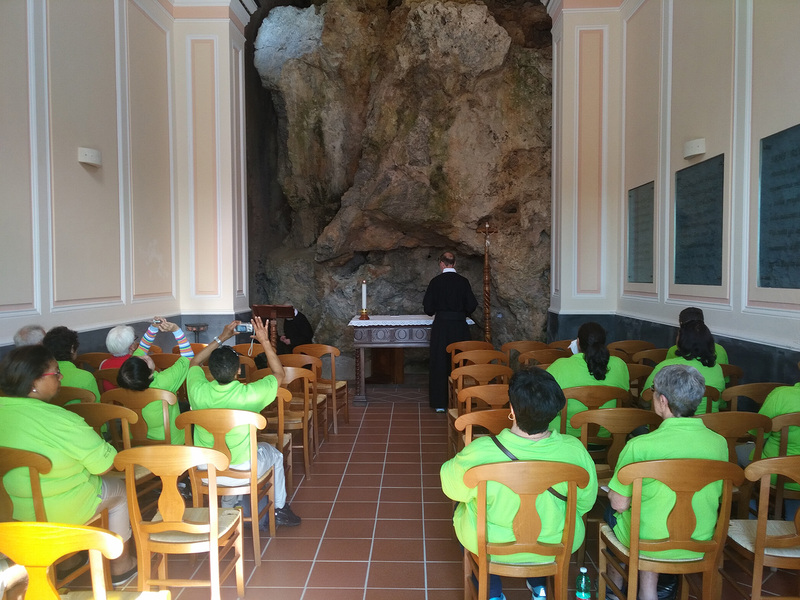 A highlight of the pilgrimage was Mass in the Grotto of St Alphonsus at Scala. There it was natural to imbibe something of the importance of quiet, contemplative prayer in the very place where Alphonsus experienced so much personal grace and love. Sr Imma kindly gave us a glimpse of Redemptoristine life; this visit brought back good memories of the OSsR community which we had for twenty years in South Africa. Our visit to Materdomini was on a Sunday which allowed us to join in an open-air Mass. One of the most remarked on aspects of the visit to St Gerard’s shrine was the famous room full of pictures and clothes of children and families who had experienced the powerful intercession of St Gerard. The culmination of our Pilgrimage was Mass before the Icon of our Mother of Perpetual Help in San’ Alfonso in Rome. We profited from our time in Rome to include a Wednesday audience with Pope Francis and a day’s trip to Assisi. We were all highly indebted to Fr Piotr Chyla who arranged so many details of the pilgrimage ahead of time. 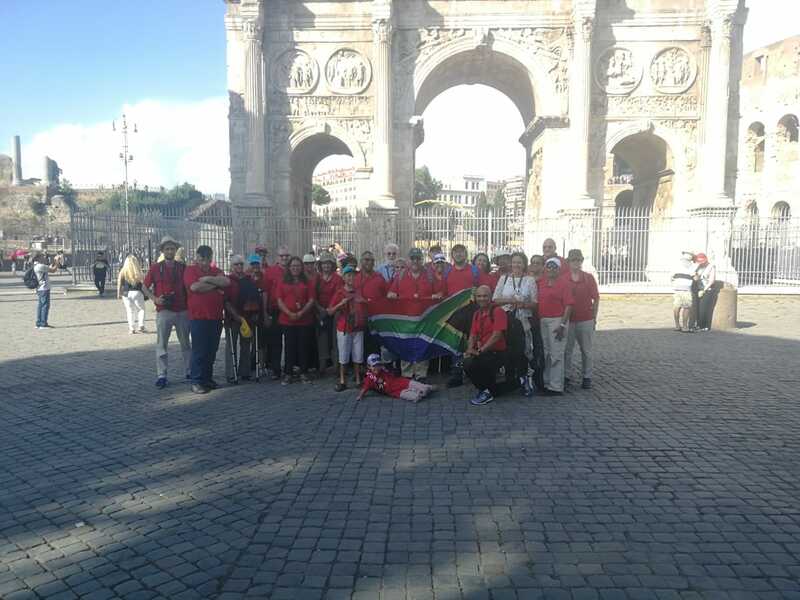 I am sure this will not be last such pilgrimage from the tip of Africa to the “culla” of the Congregation.